While filing her nomination paper for the 2014 Lok Sabha election, Smriti Irani had claimed to be a Bachelor of Arts graduate from Delhi University's School of Open Learning. 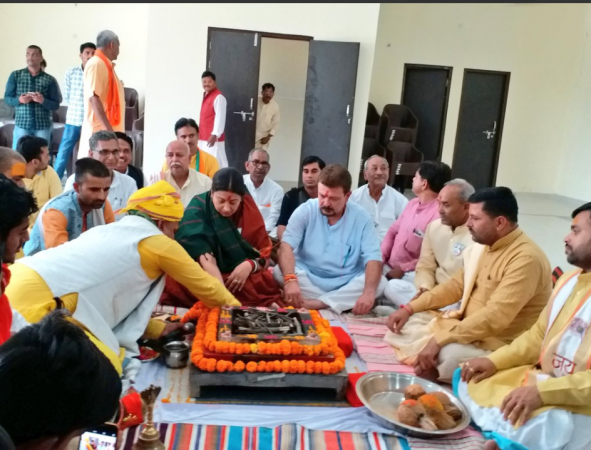 Union minister and Bharatiya Janata Party (BJP) leader Smriti Irani, who is contesting the Lok Sabha election from Amethi, has finally revealed in her nomination papers that she did not complete graduation from Delhi University. In the nomination paper, the actress-turned-politician revealed that she had completed school in 1993. 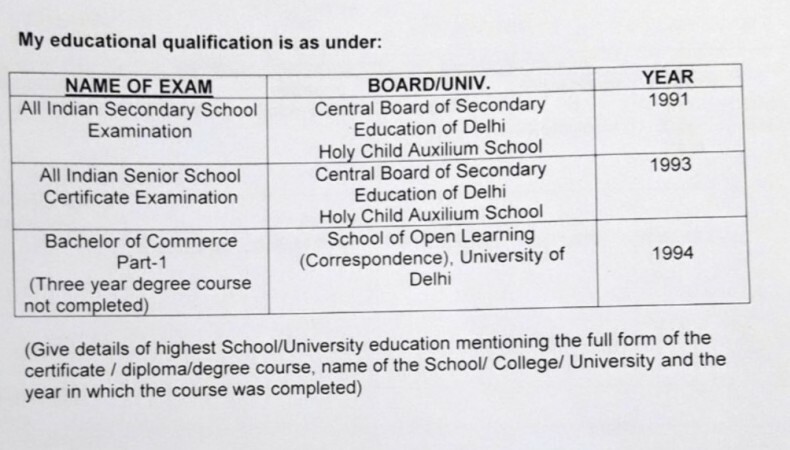 She then lists the Bachelor of Commerce course at Delhi University's School of Open Learning. Irani, who is contesting against Congress president Rahul Gandhi, adds that though she joined the three-year degree course in 1994 she did not complete it. While filing her nomination papers for the 2014 Lok Sabha election from Chandni Chowk in New Delhi, Irani had presented an affidavit which claimed that she had done a Bachelor of Arts from Delhi University's School of Open Learning in 1996. It had created a quite a stir at that time as the opposition parties claimed that she was not a graduate. Smriti Irani had appeared for the All India Senior School Certificate Examination (AISSCE) from New Delhi's Holy Child Auxilium School in 1993. Her educational qualification came into the spotlight after Prime Minister Narendra Modi appointed her as the Human Resources Minister. Several people have also tried to gather information about her education from the DU with the help of the Right to Information (RTI) Act. National Spokesperson of Congress Priyanka Chaturvedi trolled Smriti Irani for her claims on educational qualifications. She said, "a new serial is going to come, 'Kyunki Mantri Bhi Kabhi Graduate Thi" (because the minister was once a graduate) trolling Irani with her earlier soap opera 'Kyunki Saas Bhi Kabhi Bahu Thi'. She also sang the opening title track of the serial with different lyrics. In November 2018, Rahul Gandhi had also attacked the BJP saying: "Fake degree is in BJP's DNA". In January, Irani hit back at Gandhi, calling him a "congenital liar", but has not addressed the issue, reports The Wire. During the 2014 election, Smriti Irani had lost to the Congress chief at Amethi, a Congress stronghold. The BJP candidate suffered a jolt this time, with her close aide in the constituency, Ravi Dutt Mishra, joining Congress on Thursday. In her affidavit, Irani has declared assets worth Rs 4.71 crore. Her immovable assets are worth Rs 2.96 crore, including agricultural land and a residential building.